Want to flash Sony Xperia U/S/P with CyanogenMod 11 or Android 4.4 Kit Kat? If yes, then you need to first unlock your bootloader! Not only CyanogenMod, you can enjoy some AOSPA (Panadroid ROM) and other cool custom roms which gives you more features than other ROMs of stock ROM. Also, custom roms make your device faster and more stable. There are many features that ROMs like AOSPA, CM, MiUi, LeWa OS provides but for flashing them, you need to unlock your bootloader first. Bootloader is a small program that boots your device. You see the Xperia splash screen, that is actually the Bootloader. Bootloader helps to boot the device easily and provides an environment for booting and using applications, it is required by ROM to RAM, etc while you switch on your cell. NO!!! Not only your company provides, bootloader! Micromax, Samsung, Google Nexus, Motorla, HTC, all provides bootloader and some manufacturers lock the bootloader for security purposes. They lock the bootloader before selling the device so they can see that the device's bootloader is unlocked or Sony's firmware is having problems. But why to unlock bootloader? Unlocking the bootloader is the first step you need to follow before rooting your Xperia. It allows us to flash files by fastboot and some other things. Some developers first unlock the bootloader and then root their Xperia, Motorola, Nexus etc. devices to install/flash Custom ROMs etc. Is Unlocking Bootloader of my Sony Xperia U/S/P is tough? NO! it is not a tedious job, you just need to learn all languages like C++, C, Java etc.. I hope you feel that it is a tough job but trust me. It is totally opposite what you think. Sure, Sony has said that they will not be responsible for bricked devices and this will void your warranty..
My SD Card would be safe? Yeah, your SD Card will be same, I mean unlocking process doesn't include anything that touches or wipes your SD Card. I have rooted my Xperia U/S/P and flashed CWM in it, should I make a Nandroid backup? Yep, if you have CWM, TWRP or any other recovery then make a backup for security purpose. 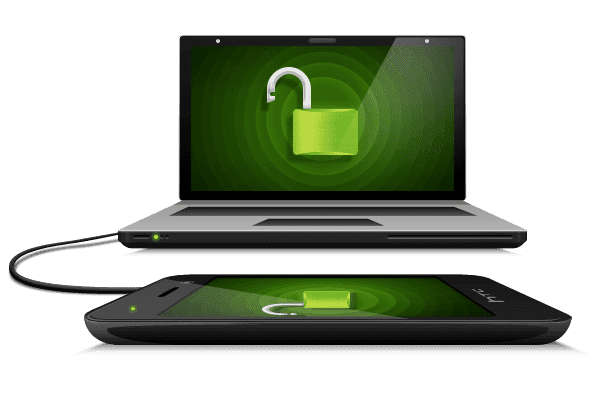 Nandroid backup will backup your call logs, SMSes, applications and other data that you use and may be some very important information. That's why backup your device before trying anything. Now it is your decision to unlock the bootloader of Sony Xperia U/S/P or not. 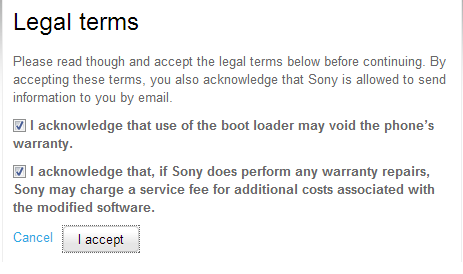 Like Sony, I will also not responsible for your non-booting device or anything like that. Make sure you have made a Nandroid backup (if you are rooted! ), if you have not made any backup or simply unrooted then also there are many ways of fixing your device- you can see or seek help from XDA Developers and other websites. Note one thing, that you won't receive FOTA (Firmware upgrade Over The Air), but nothing to worry, you can flash the files/roms easily with ClockWorkMod Recovery or TWRP. Firs of all, check that your device is eligible for rooting or not: type *#*#7378423#*#* in the dialer screen of your mobile phone to access service menu, when it will open, go to Service Info, next follow to Configuration. Finally open Rooting Status, if the Bootloader unlock allowed is yes then you can proceed to the next step if no then your carrier prevents your device to boot in Fastboot, you need to use wotanserver.com to unlock Bootloader of your locked Xperia. Open your screen dialer and type *#06# to see your IMEI version. Copy the IMEI version or follow the next step. Open Xperia's official Bootloader unlocking website and click on Yes, I'm sure, now tick both the options in step 2. After that, press I agree. 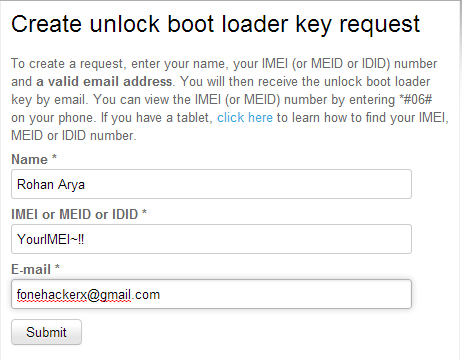 Now type your IMEI (14 digit code) which you saw in step 3, email ID and name and then press Submit. Download the ADB and Fastboot tools, which I have given in the downloads section. Unzip the compressed Fastboot with drivers. Switch off Sony Xperia U/S/P. Press and hold Volume Up button for some time. Windows will start installing the drivers. It will be in the tasbar (right side), open and play with it and follow the drivers to the folder which you just extracted. Press and hold Shift key and hit Right click in the folder where the Fastboot and drivers are. Click on Open command prompt here. Type fastboot devices. If you see your device then you are almost there. Open your email which you gave (like GMAIL, Yahoo etc.) in the form. You will receive an email by Sony about your unlocking code. Type fastboot.exe -i 0x0fce getvar version, if you got a reply like 0.3 or something like that, this means you can unlock your bootloader because it is connected completely. Type fastboot.exe -i 0x0fce oem unlock 0xKEY. (Key means that code which you just received in your email! like 0f9fj9rh so you will type fastboot.exe -i 0x0fce oem unlock 0x0f9fj9rh. You will see a message that it was successful. Now type fastboot reboot to reboot your device, now it will boot normally. Done! You have unlocked your bootloader! Happy to unlock your bootloader? Please comment the issues that you are facing or any doubts you want to clear. I will reply you! Also you can ask and clear your doubts at XDA! There are many great developers which can help you to unbrick/fix or fix whatever issue you are facing. Stay tuned for rooting guide and much more. am not getting any mail having unlock key..